When we got the shocking news that our two (almost three) year old daughter had Leukemia, our second child was only 6 months old. We were just getting past the adjustment to life with two kids. 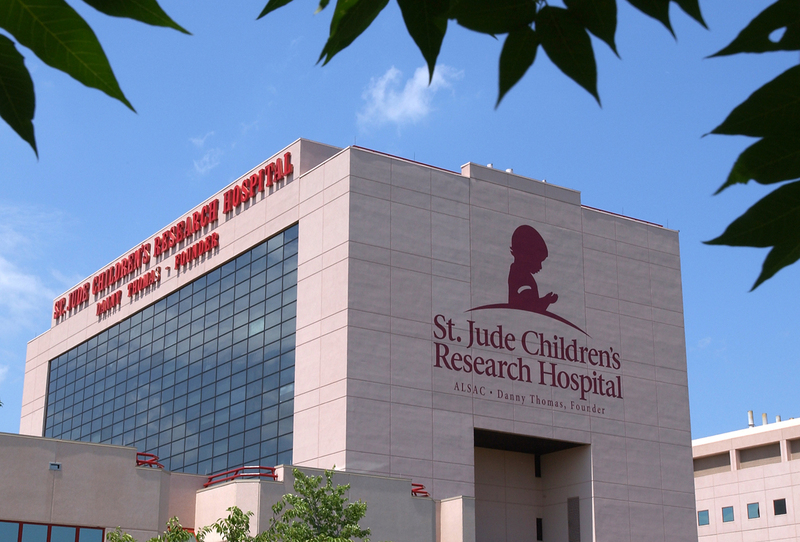 He was on a solid four hour schedule which made the chaotic life of packing up and moving to Memphis for 2 months a little easier while she began treatment at St. Jude Children’s Research Hospital. We had been blessed with our first to have been surrounded by several families who had success with Growing Kids God’s Way whom I could call at a moments notice for wisdom. That experience made using Baby Wise principles for our second child come naturally (well, at least for the most part). I also frequently visited this blog to “refresh” my memory during the newborn stage. One of the biggest benefits included how easy it was to let friends and family members watch him for extended periods during her treatments, particularly since he had a solid routine. Also, we were blessed that he was sleeping through the night (usually) and beginning to eat solid foods while still very young, making it much easier for us (and others) to care for him and focus on more important things (like keeping him from climbing all over the place). His routine was so regular that I even saved a copy on my iPhone so I could e-mail to whomever would be watching him, and it also meant that it was easy to return to “normal” after any event. Overall, he was an easy baby who returned to routine like clockwork almost on his own (Although I know that NOT ALL BABY WISE BABIES WILL DO THIS ON THEIR OWN, even ALL WILL WITH EFFORT). So anytime he spent extended time with grandparents or if we got off schedule being at the hospital for appointments, it made the transition back super easy as we all knew what the plan was. During the past year we have spent almost half of it traveling back and forth for treatment. When visiting the local clinic, he goes with us for all of her appointments–and it helped knowing what time was “wake time” and what time was “sleep time”, and to know how to handle any fussiness. We have continued to use the Baby Wise pinciples, and still have many “off” days, but having a routine has been a blessing to us, to others watching him, and most importantly to him. I am sure that it has helped the craziness of life for him to have a sense of “normal”. We are thankful to say that he is a happy 18 month old who naps once a day and still has a very regular routine during the day. The same sense of “normal” was also beneficial to our daughter as she goes through treatment (her cancer has been in remission for almost one year, with another year or so of treatment to go). She knows what is expected at home, when to have room time, etc–so we can look forward to normal days when not inpatient or receiving treatment. This would not have been possible without having a routine for her in place beforehand. Next Post So Worth It!